I recently rediscovered this shirt in my wardrobe of clothes that I left at my parents house & was desperate to wear it again- the only trouble is that it’s about 4 degrees outside! Luckily, a pair of thermal tights under my maxi skirt and throwing on a faux fur coat over everything ended up doing the trick. The shirt is so pretty, I just couldn’t wait until summer to wear it again! I hope you are all well and having a lovely week so far! I’ve been moving (and playing Pokemon Alpha Sapphire, heh) so I’ve hardly had time to blog, sorry >.< turning that around now though! love the faux fur; you look flawless! that blouse is so gorgeous! cozy and stylish at the same time, love it! Lovely post, you look amazing!!! Love this! 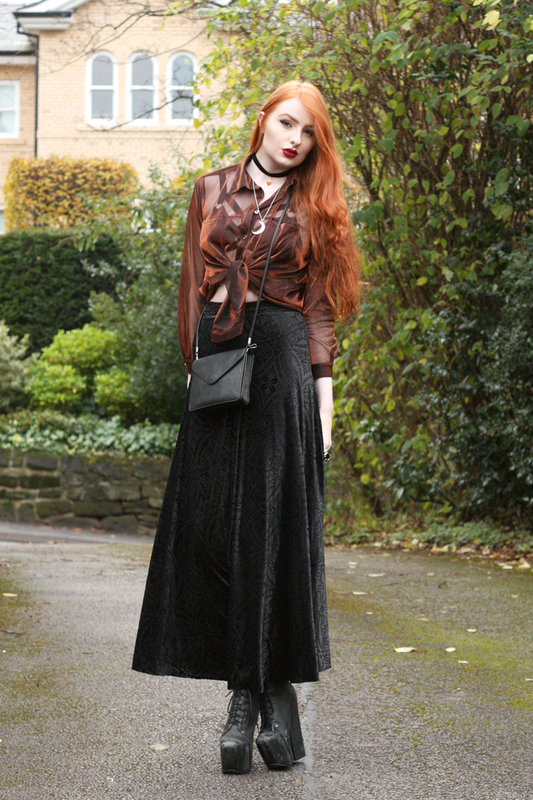 The Black Milk skirt is just killer with these shoes! I'm tottally in love with your style! Simple beautiful.